For the last four years, Twelve has worked with Losberger De Boer to showcase its temporary structures portfolio amongst event professionals. Covering a range of world class events from RHS Chelsea Flower Show, Farnborough International Airshow and Seawork International 2017, Europe’s largest commercial marine and workboat exhibition, we achieve over 50 pieces of coverage a year in key titles including Stand Out Magazine, Exhibition News and Access All Areas. 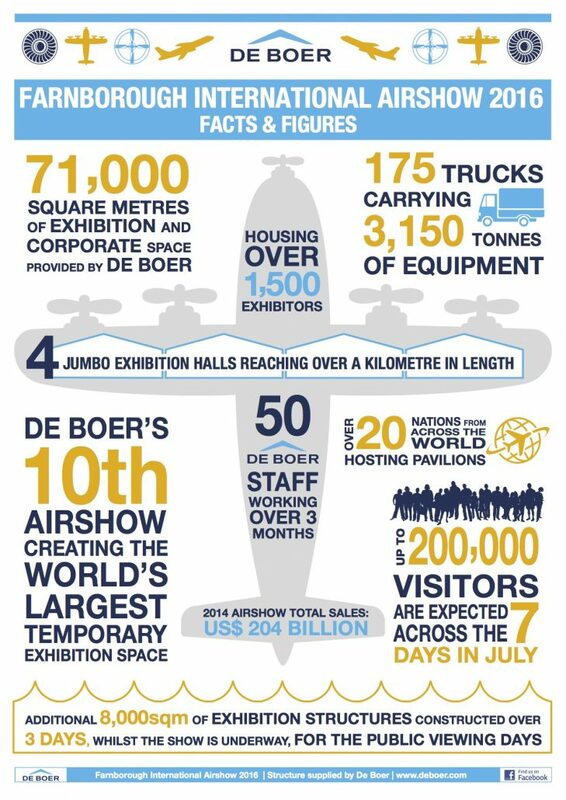 For Farnborough International Airshow 2016, we created an infographic which was shared across social media and in print publications. In total, the infographic reached over 20K event professionals across Facebook and Twitter and achieved over 800 social media engagements – that’s likes, comments and shared.